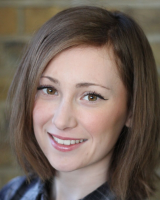 Helena joined CKP in 2014 after completing an MA in Directing from the University of Kent. Over the last three years, she has progressed from Team Assistant to Agent and along the way acquired and signed her own clients, built valuable relationships with industry, and brought in new business to CKP. In 2017, Helena was selected as a Broadcast Hotshot in Business - rising stars of TV under 30. Read the full article here. She is the proud co-founder of InterBook, InterTalent's monthly internal book club.